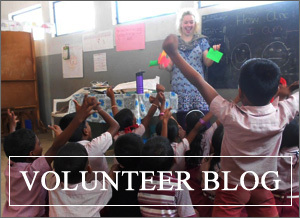 We will be bringing you a series of blog posts from our Student Leaders and past volunteers about their experiences of working with VESL and some handy tips for preparing to go overseas. Our first post comes from James Hallworth a student at Edgehill University. I have just finished my second year of studies at Edge Hill University, where I am taking a three year course in History. I first entered the world of volunteering in my College years, teaching sports at local schools in the area as part of a Sports Leader qualification. I then took a year out of study, and spent three months volunteering at a school in Rajasthan, India. We taught various age groups and also spent time in the communities focusing on hygiene and contraception. The summer after this I was fortunate enough to volunteer with a water conservation project running primarily in Slovakia. I took part in this for a month and gained valuable lessons and experience of working with such a globally aware group of people. 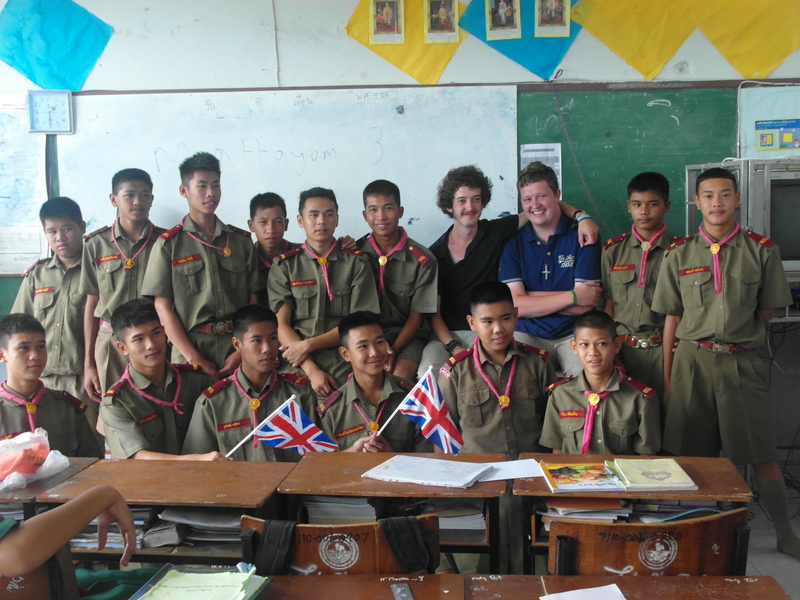 Last year, I volunteered with VESL as a student-coordinator, and had a brilliant six weeks teaching and working with a group of 5 volunteers in Phayao, Thailand. I have chosen to continue my relationship with VESL for a second year because I believe everyone involved with this charity is determined to affect long lasting change in the areas they work in; it is my privilege to try and play a part in this, and to inspire children to achieve as much as they possibly can. I wouldn’t go overseas without mosquito repellent, in Thailand it can be the difference between whether you are able to focus on teaching or whether you are aggravated all day and night by bites! Anything expensive – just take a few books to read. What was your most memorable moment last year? 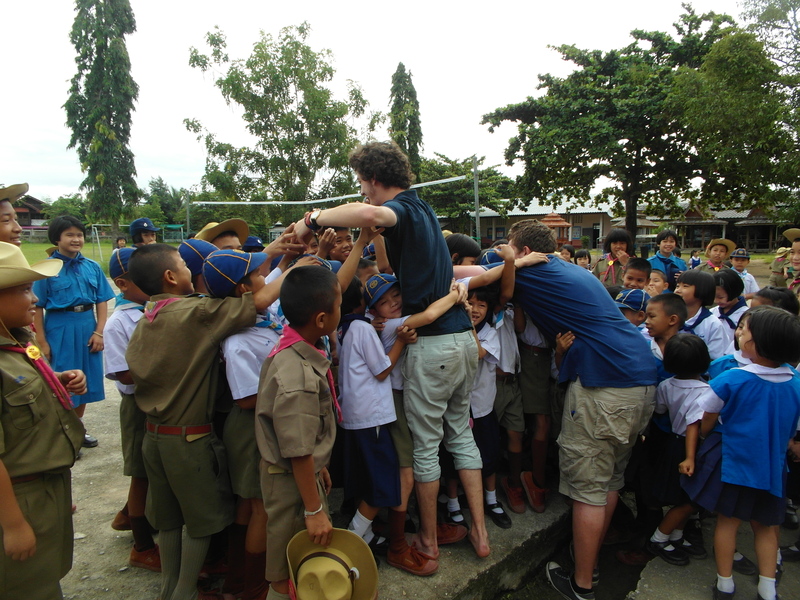 Last year with VESL, my favourite moment was on the last day, when I saw the kids say bye to all of the volunteers. It was amazing to see the relationships they had built within the communities over just 6 weeks. What did you find the hardest part of the trip? The hardest part of the trip was coming to terms with the food. It was wonderful, but very different to what I’m used to and often very similar for days on end. I overcame it by choosing different things whenever I could – and realising that it’s only for a few weeks and as long as I’m able to eat and stay healthy it shouldn’t really matter too much if it’s my favourite food in the world or not. One sentence – You get out of the trip what you put into the trip. We will volunteer in 5 new schools that VESL have not worked with before, so I hope that we can establish a relationship with them that can last for years to come. Some of the fish in Thailand was delicious. They make some good egg fried rice too. Do you have any travelling tips for weekends? Don’t go anywhere alone. Keep your passport with you at all times. Keep your phone turned on, and have credit. Let people know where you are going and when you expect to get back. Thailand is a beautiful place but it is still very different to the western world, being vigilant is necessary at all times. Is there anything you’d wish you’d known last year before you went overseas? I wish I’d known how hot it would be…very, I’d have packed more cool clothes.